Earlier this month, Kaplan’s Deli & Catering at 5775 Oak St. closed. On March 6, there were three signs on the door, one noting that the locks had been changed, and two concerning monies that had to be paid within five days. On March 18, the signs were still there. The doors were still locked. The property management company was continuing its search for new tenants. Whether or not one frequented the deli, it is sad to see it go. Opened by Ida and Abrasha Kaplan in October 1967, Kaplan’s (with variations on what descriptors followed the name) was a veritable institution in the community. Its opening was heralded with a two-page spread in the Jewish Independent’s predecessor, the Jewish Western Bulletin. 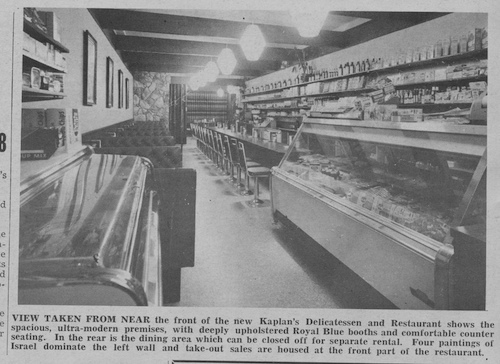 Owners of two Pheasant Delicatessen locations at the time, the Kaplans kept Pheasant’s longstanding 4030 Cambie St. location until, it seems, from the pages of the JWB, April 1969, when it was taken over by Sigy and Molly Robbins. It looks like Pheasant lasted until 1972, when the Pyrogy House starts being advertised in the Bulletin at 4030 Cambie St. 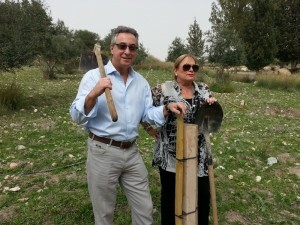 The Kaplans bought Pheasant from Helen and Jack Finkelstein in 1962. The Finkelsteins had owned it since 1952. The for-sale notice the year prior noted the deli’s “good turnover” and “illness reason for selling” – the Finkelsteins bought it from Mrs. Sarah Nager, who seems to have been the first Jewish proprietor of the deli that first appears in the B.C. city directories in 1947. When Kaplan’s opened in 1967, its modernity was lauded. The Kaplans opened Kaplan’s Delicatessen & Restaurant, “[j]ust a couple of stores over from their former Oak and 41st location (their popular Pheasant Sandwich Bar and Delicatessen),” reads the Oct. 20, 1967, article on the opening. With a seating capacity of 58, the restaurant’s modernity and beauty was lauded, as was its family atmosphere. In the March 19, 1981, JWB, Mr. and Mrs. Serge Haber ran an ad announcing Kaplan’s new management, and “the introduction of new delicacies from Montreal and Toronto to the already large list available.” As did the Kaplans, Serge and Elinor Haber would run holiday greetings and advertise regularly in the JWB. In 2000, Haber sold Kaplan’s to Marshall Cramer, in part, Haber told the JWB at the time, because Cramer agreed to keep the staff and run the business as it had been in the past. Cramer had the store at 5775 Oak St. until 2012, when Howie English took it over. Full of optimism when interviewed by Menschenings’ Alex Kliner, English would not succeed in his hope to “make Kaplan’s the most famous deli in North America.” Unless someone in the community buys the name and reinvents the restaurant, he’ll have been its final owner. 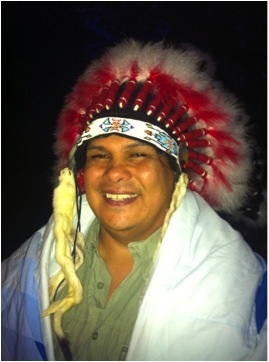 One of the leaders of the fight against this project is Sundance Chief Rueben George of Tsleil-Waututh Nation (TWN), who will be addressing this year’s Outlook fundraising dinner later this month. “I guess how I got involved, in a way, is embedded in me, with my cultural and spiritual teachings,” he told the Independent in a phone interview. Sundance Chief Rueben George of Tsleil-Waututh Nation. These teachings, he explained, include the protection of “the things that are sacred to us, and that’s our children, our families and also our land and our waters. You look at any religious or spiritual belief and you can see that water is used in most ceremonies and, in a sense, fire, too, because you have candles or incense, and we use sage or sweetgrass. We use the elements of … fire, earth, water and sky. We learn through the ceremonies that there is a sacredness to it, just like there is a sacredness to our children, so it was a natural transition for me to go from director of community development for Tsleil-Waututh Nation, overseeing all the social programs, employment and training, and education programs” to being, among other responsibilities, program manager of TWN’s Sacred Trust. The trust “is mandated to oppose and stop the Kinder Morgan Trans Mountain pipeline project,” explains its website. When the struggle against Kinder Morgan’s proposed expansion began, said George, the concern was mainly about Enbridge Inc. (Enbridge’s at-least $6.5 billion Northern Gateway project to build a new twin pipeline system running from near Edmonton to Kitimat was approved by the NEB last December, with 200-plus conditions.) Public awareness of Kinder Morgan was limited when TWN became involved, said George, but that has since changed. He held up TWN as one of the First Nations from which people could learn “what a government should be like.” He said that, when its wind turbines and other investments have success, “it’s not going to be an individual that’s taking off and becoming a billionaire” looking out for their own best interests. He gave the examples of environmental programs, such as those dealing with elk and salmon, as well as “social development, we help people to get off social assistance; and we help with the healing of our communities from the genocide that has happened [as a result of] the residential school experience; we have education; we have employment and training. All these programs are supplemented by our drive towards self-sufficiency. So, that, to me, is a government. The Annual Vancouver Outlook Fundraising Supper ($40/person) featuring Chief Rueben George will take place at the Peretz Centre on March 23, 6 p.m. An RSVP is requested to 604-324-5101. The 2012 Vancouver Jewish Film Festival brought Dudu Tassa to local audiences – on film. The 2014 Chutzpah! Festival is bringing Tassa to the city again – in person. Dudu Tassa & the Kuwaitis will play at Vancouver FanClub on March 9. Tassa, on vocals and guitar, will be joined by Nir Maimon (bass guitar), Neta Shani Cohen (cello), Eyal Yonati (computer), Barak Kram (drums) and Ariel Qasus (qanun). They will perform “Iraq ’n’ roll” – not coincidentally the name of the documentary that screened at VJFF. Gili Gaon’s film Iraq ’n’ Roll followed Tassa as the rock musician/composer reconnected to his musical roots: specifically, as he gathered information about his grandfather and great-uncle, Daoud and Saleh al-Kuwaiti, respectively, who were famous musicians in Iraq in the 1930s. When they emigrated to Israel in the 1950s, they were unable to make a living as musicians and their music was all but forgotten. That is, until Tassa set about discovering more about his cultural heritage. His second album came out in 2000 and his third, Out of Choice in 2003, includes a version of “Fug el-Nahal,” which his grandfather and great-uncle used to perform; the song also appears on Tassa’s 2004 album Exactly on Time. While the al-Kuwaiti brothers did not write the song, they performed it, and the song represents Tassa’s first foray into interpreting and performing that type of music, sung in Arabic. “My grandfather and his brother, Daoud and Saleh al-Kuwaiti, were great composers coming from Kuwait to Iraq. They composed many songs, which spread in popularity throughout the entire Middle East. The sultan in Iraq in the ’40s appointed them to start the National Broadcasting Orchestra and they composed, played and recorded for many years, until they emigrated to Israel in the ’50s. “My grandfather and his brother, Daoud and Saleh al-Kuwaiti, were great composers coming from Kuwait to Iraq,” explained Tassa of what he discovered in his research. “They composed many songs, which spread in popularity throughout the entire Middle East. The sultan in Iraq in the ’40s appointed them to start the National Broadcasting Orchestra and they composed, played and recorded for many years, until they emigrated to Israel in the ’50s. “I am named after my grandfather Daoud (David); Dudu is a short name for David,” he added. “My grandfather died just when my mum was pregnant with me. Tassa is also a record producer, he has composed music for film and TV, and has even tried his hand at acting, which was “a truly new experience” for him – he played a Syrian prisoner in Samuel Maoz’s 2009 film Lebanon. About how musical performance has changed since his grandfather and great-uncle took to the stage, Tassa said, “The fact that we can use the computer, and involve recordings inside a live performance, does change a lot. Vancouver FanClub is at 1050 Granville St. The March 9 show starts at 8 p.m. Tickets ($25/$30 plus taxes and fees) are available at chutzpahfestival.com, as is the full festival schedule. Since last year’s Chutzpah! Festival, the Jewish Independent has been waiting to see Noah Drew’s Tiny Music. The read-through in 2013 was a unique experience of a work-in-progress, and it will be fun to compare that “teaser” with the production that takes to the Rothstein Theatre stage later this month as part of this year’s Chutzpah! “This play has actually been slow-cooking for almost 10 years,” Drew told the Independent in an e-mail interview. 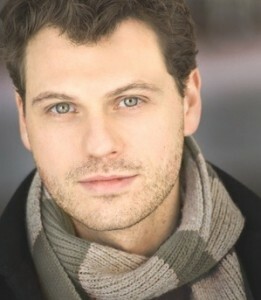 “In 2004, the fabulous actor/writer Josh Epstein approached me about writing and composing a musical together. We jammed on ideas, and decided to adapt a short story by Sholem Aleichem called The Fiddle, which I’d been very fond of growing up. At my grandparents’ house, I used to listen to a record of the great Howard Da Silva reading Aleichem’s stories accompanied by a klezmer band, and The Fiddle was one of my favorites: a dark fable in which a boy who’s obsessed with music is forbidden to have anything to do with it, but can’t help himself, to his family’s ruin. Josh and I wrote a few songs and scenes about a boy in the Old Country who was born with unusually large and dexterous hands – a violin prodigy. Some of the material was great, but then, life happened – Josh booked a big show in Toronto and moved there, and shortly afterwards I got a full scholarship to do my MFA in acting at Temple University in Philadelphia, and also moved east. Every once in awhile, Josh and I would connect and talk about working on the show, but it never quite happened. Drew said he wrote a handful of songs and a first draft. 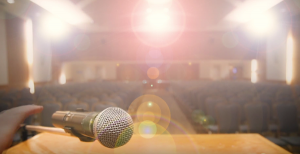 “A two-day script workshop in Montreal in January 2013 led me to a second draft of the script, which was presented as a reading in the 2013 Chutzpah! Festival,” he said. “That reading was a bit of a whirlwind – we had only the one day to rehearse – but it was a good opportunity to see how the story was working (and where it wasn’t) and to hear a few of the songs with piano and voice. I learned from that reading that some aspects of the characters and story were really working, but others were a bit superficial and/or clunky. This is what makes Tiny Music not just a regular, run-of-the-mill musical. “In 2012, Jamie got very involved in working on Tiny Music, and I started working as a dramaturg on a play he’s writing called Salamandra (which is based on the true story of his inheriting a 150-bedroom castle in Poland from his great-uncle, Poland’s former minister of war, and his great-aunt, a former Polish movie star). Because we were doing these two projects together, and because our views about theatre, politics and life are so aligned, we decided to start a company together. All of this is in addition to Drew being a tenure-track faculty member in the theatre department of Montreal’s Concordia University, his continued freelancing in sound design and his voice teaching work. One of his sound design projects, he told the Independent, is for Horseshoes and Hand Grenades’ production of This Stays in the Room, which will be performed at Gallery Gachet in Vancouver March 19-30. Tiny Music takes place Feb. 25 and 26, 8 p.m., at the Norman and Annette Rothstein Theatre. It stars Anton Lipovetsky, Susinn McFarlen, Caitriona Murphy and Bob Bossin, with musicians Yawen Wang (piano and accordion), Joe Browne (live electronics), Caitriona Murphy (violin), Mike Braverman (clarinet), Jodi Proznick (bass) and Jason Overy (drums). There is a post-performance talk-back on Feb. 25. For tickets, visit chutzpahfestival.com, call 604-257-5145 or 604-684-2787, or drop in to the Jewish Community Centre of Greater Vancouver.